Companies may choose an outsourced sales team for a variety of reasons, but no matter what the driving factor, one thing remains the same – for an on-demand sales team to be effective, you must select the right partner. And that’s where Trelevate comes in. More than sales, we are a true extension of our clients’ business, able to focus exclusively on sale strategies and ease the burden of staffing for our clients. Trelevate takes a unique, people-first approach to on-demand sales. We hire and train the best people and then align them with your products and services to get results. It’s the people, not the technology that make a sales team great, and people are what we specialize in. Trelevate utilizes only the best in HR and management practices to recruit, screen, train and support your on-demand sales team. Talent selection and resourcing the best of the best in the marketplace is critical, because staffing is key to achieving desired results. Our team is conducting interviews and building an elite salesforce, every single day, to ensure we always have the right resources for our clients. But it’s not enough to simply check off requirements from a resume, we go deeper and look for something special – something that taps into our guiding principles, The 4 C’s: Character, Competency, Chemistry and Commitment. Character defines a person and their actions and works to build trust with those they serve. Of course, trust is important for any team, but it is absolutely crucial to outsourced sales. Companies trust us every day to represent their brand and that is a task we take very seriously. Competency allows us to build stronger working relationships within our teams because each and every person understands their job, and are able to meet any challenges they may face. Ultimately a competent and skilled team leads to effective business solutions and builds respect in the markets we serve. At Trelevate, the demand for competency is across the board. No one sits in an ivory tower, each person on the team – including upper management – knows how to get their hands dirty and walk the walk. Chemistry is the special ingredient that makes a team unique and extremely effective. When people respect and like the people they work with, and have the same values and habits that generate success, it creates a certain synergy that challenges the status quo, and builds a tight-knit team that will work together to accomplish great things. Commitment is rigorously tested by everyday actions. Everyone wants to see success in their life, but many don’t have the dedication it takes to get there. Many people want to see growth in their career, but most do not have a plan to make it a reality.  The Trelevate team is made up of individuals who are driven to succeed, and we are equally committed to helping them reach their full potential. One of our leaders was recently recognized by his team for demonstrating our 4 C’s. Before asking his new team to reach certain goals, he hit the pavement to personally accomplish the results he would ask of his crew. He wanted to show them that it was do-able, and he was willing and capable to do the same things he asked of his staff. Character. Competency. Chemistry. Commitment. It’s in our DNA. But, it’s not enough to just build an excellent team and set them loose in your market, you must provide support and ongoing training to ensure the team will thrive. At Trelevate we don’t just see employees, we see potential and every single person on our team is given the opportunity for two simple things: unlimited growth and unlimited earning potential. We like to think of ourselves at Trelevate not as an outsourced partner, but a resource for you to build awareness and smash your sales goals. We are the next generation of sales outsourcing, we are on-demand sales and we can help you take your business to the next level. Interested in learning more? Contact us today.